The surprising 5-4 Miami Dolphins will once again be without starting quarterback Ryan Tannehill for Sunday’s game against the struggling Green Bay Packers. 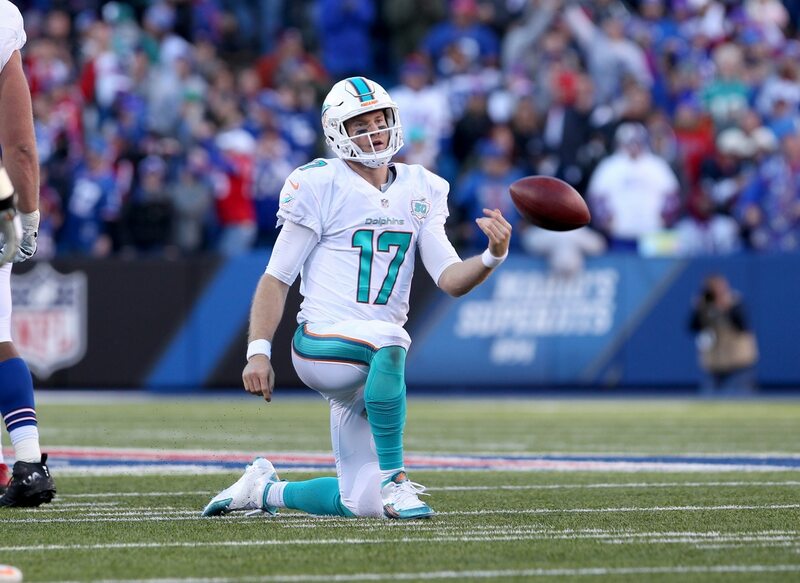 Head coach Adam Gase announced on Wednesday that Tannehill will miss his fifth consecutive game with a shoulder injury. #Dolphins coach Adam Gase tells reporters QB Ryan Tannehill won’t play this week vs. the #Packers. They have the bye, and then the goal is for him to be on the field Week 12 vs. the #Colts. This puts Miami in the unenviable position of having to start veteran journeyman Brock Osweiler once again. Osweiler has put up six touchdowns compared to three interceptions in five games (four starts) this season. Though, he’s failed to put up a touchdown in each of the past two games and tallied just 139 passing yards in last week’s win over the New York Jets. At 5-4 on the season, Miami finds itself a half game out of a playoff spot in the AFC. Sunday’s game against the reeling Packers could help the team announce its presence in the playoff race. That possibility rests squarely on the shoulders of Osweiler.